We arrived there on Friday evening and my first impression was it will be a relaxed time spent with very friendly people. 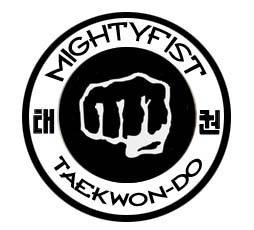 Indeed very quickly it was clear it is friendly and professional but we were supposed to have 10 days of truly intense and challenging Taekwon-Do training with a very strict agenda. The camp took place at the sport facilities of the Faculty of Physical Education in Biala Podlaska. The area is huge and offers several halls and gyms, a swimming pool, running track, a stadium with different courts for football, volleyball, tennis, etc. and a canteen. We were accommodated in students’ apartments on site. The rooms were nicely decorated and cosy, simply and lacking nothing. All together a great place for sports fun! The people were very nice. I must admit that I felt a bit unsure at the beginning and a bit lost but it was not for long. Indeed I realized quickly that one has to be proactive: if you wait and say nothing, no one will help you. This is just like that. We were there around 150 people, most of them adults having black belts, around one quarter were kids and teens, most of them arriving with their club and trainer. There were three of us from Brussels, and we had to find our way to integrate. Sure it is easier to have a trainer who takes care but it is also possible to survive and even it can be funny at the end of the day. Many people participated at the summer-camp not for the first time, and I’m sure it was not the last time for them and so it’s also for me. They helped us find our way around and were really friendly. It was a totally relaxed atmosphere. Already in the first evening, all gathered in one of the halls, the coach explained us everything and we were allocated to different groups. All those younger than 14 were grouped together. This group represented the whole range of skills from white-yellow till red belt, the majority being yellow and green belt owners. Well … after the breakfast there was Taekwon-Do training, in three parallel sessions. Then we had a lunch (btw great food!) followed by Taekwon-Do training again and by dinner. Self defense sessions were available in the evening. For the black belts there was an offer to have special master classes starting at 9pm. There were also some consultancy hours and the swimming pool (which I also visited extensively in the morning and in the evening, with some friends who love swimming as I do!). We had to go to bed around 10pm. Actually we managed it usually, but there were some days, that the new friendships made us to talk longer than allowed (no comments..). The camp was led by Master Tadeusz Loboda (8th Degree). Our main Taekwon-Do trainer was Robert Jasiński (6th Degree ), we had also two other coaches Jerzy Jedut (8th Degree) and Jaroslaw Suska (6th Degree). All of them pretty focused on the tools and foot techniques. It was obligatory to do the training, and a fairly close attention was paid to the stretching and warming-up before we moved on to the actual Taekwon-Do exercises. The weather being very hot, 30+ degrees and challenging exercises combined with a very high technical standard and discipline (sic!) meant that every session was very exhausting. … But I truly think it was a great time. I really did something, my technique and body made progress 😉 I made some new lovely friendships, and well, I think I come back next year in August 2016. Previous PostSeminar with GM Lan in LuxembourgNext PostHello dear ITF member/instructor!